Free shipping with Forever21 on orders over £50. Style Deals. 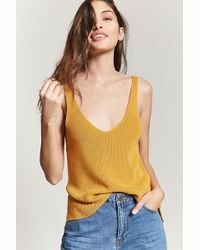 A ribbed sweater-knit tank top featuring a V-neckline and back, sleeveless cut, and a vented hem. 50% acrylic, 50% rayon. Hand wash cold. Made in China. Model is 5'9" and wearing a Small. Full length: 26". Chest: 28". Waist: 26". 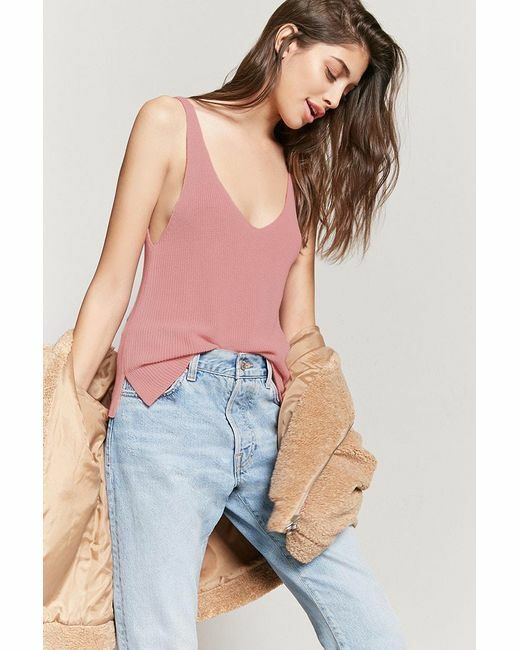 Women's Jumper-Knit Tank Top. Blush. FOREVER 21".